Rudy Tenore, ASA, is the President of V2 Aviation Consultants LLC. On February 7, 2019, Aeronautical Systems and V2 Aviation Consultants LLC announced the formation of a joint collaboration venture, whereby V2 will provide support to ASI’s specialty business aircraft appraisal products. Rudy’s passion for determining accurate aircraft values makes him a natural fit to collaborate with Aeronautical Systems. Rudy brings a wealth of aircraft and equipment finance experience, including valuations from his tenures at Bank of America, Hong Kong and Shanghai Banking Corporation, and General Electric Credit Corporation. He was responsible for generating new debt and lease finance opportunities and developing business relationships with airframe manufacturers and the aircraft broker community. 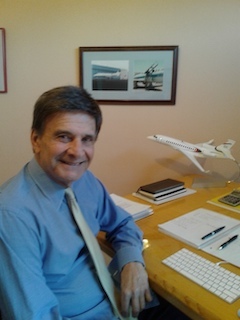 Mr. Tenore began his career as a Marketing Representative for Air France and Olympic Airways, where he managed commercial and travel agent accounts in New York and Connecticut promoting Air France and Olympic Airways transatlantic schedules and services. A graduate of Hunter College of the City University of New York, Mr. Tenore holds a Commercial Pilot and Flight Instructor Rating. He is an Accredited Senior Aircraft Appraiser with the American Society of Appraisers.